While Donald Trump has said some awful things in the past as a private citizen, Hillary Clinton has done some horrific things throughout her career as a politician and her plans for America are frightening. While Trump’s words are shocking and not for many in our overly sensitive society, Mrs. Clinton has said some things that should automatically disqualify her from the presidency. Too bad they’re not getting any coverage from your mainstream media outlets. Recent emails courtesy of Wikileaks from the account of Clinton campaign chairman John Podesta reveal what we already knew about most politicians generally and Mrs. Clinton in particular. Over 2,000 emails were released Monday after 77 pages worth of her paid speeches were also unearthed the previous Friday. Her speeches to big banks and other deep pocketed donors show us that the real Hillary is much more dangerous for our country than the salty-mouthed former reality TV star. We all know Hillary will say anything to get elected but now we know for sure she has one position for her party and another for her private donors. She tried to clarify the reality of politics today and how it is like sausage being made in a 2013 speech to the National Multi-Housing Council. Her attitude on the matter was anything but ambiguous though. 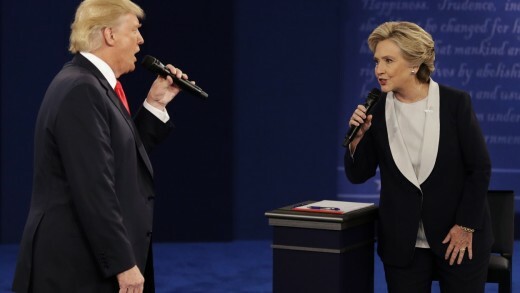 Politics is “unsavory,” Clinton began, “and it always has been that way, but we usually end up where we need to be.” She went on to say, “if everybody's watching, you know, all of the back room discussions and the deals, you know, then people get a little nervous, to say the least. So, you need both a public and a private position.” Like a chameleon, Clinton changes policies and positions based on her audience. She does this because she has no principles. No underlying philosophy besides personal enrichment and advancement. If you thought that was bad, wait until you hear her plan for securing our borders. Hillary stated clearly that her dream is for open borders and open trade. This should be hammered daily by the Donald, but he has been busy going after Obamacare and Hillary’s past treatment of women to counter her attacks of what he said decades ago. In remarks to Banco Itau in 2013, Mrs. Clinton said: “My dream is a hemispheric common market, with open trade and open borders, some time in the future with energy that is as green and sustainable as we can get it, powering growth and opportunity for every person in the hemisphere.” This essentially means she does not want America to exist. She, like many other globalists in the elite wing of the Democrat party, want to do away with borders and live in a borderless world. Immigration is what propelled Mr. Trump to prominence and it is continuously a top issue for a majority of Americans, so, he should ride it all the way through the home stretch. With Hillary promising to fix and continue the horror that has become Obamacare, we should also look into her outlook on single-payer healthcare systems. Like her husband, she confirms the reality of moving toward socialized medicine away from market-based healthcare. “If you look at the single-payer systems, like Scandinavia, Canada, and elsewhere,” Clinton began in her remarks to ECGR Grand Rapids in 2013, “they can get costs down because, you know, although their care, according to statistics, overall is as good or better on primary care, in particular, they do impose things like waiting times, you know. It takes longer to get like a hip replacement than it might take here.” So, like veterans in Phoenix, those requiring some major operation could very well die while waiting for care if we take on universal health care here in the states. Even with the whistle blown on the Veterans Affairs scandal, veterans are still dying in droves over two years after this first came to light. How can one possibly still think government-run health care is the way to go? Don’t think Hillary wants single-payer healthcare like in Canada? In a 2015 speech for tinePublic, the Democratic nominee discussed the wonders of Medicare and Medicaid. During Bill’s administration, she and Congress tried to build a universal healthcare system around the employer based system. She thinks her party has found “legislative success” in passing Obama’s Affordable Care Act, a law that well below 40% of the American electorate are in favor of. But she realizes this is just the beginning. The rest of the country does not. She apparently wants to expand Medicare and Medicaid to even more Americans despite the crippling costs. Obamacare needs to fail in order to usher in full-fledged single-payer. So what does she hope for re: healthcare? She explains, “I'm hoping that whatever the shortfalls or the glitches have been, which in a big piece of legislation you're going to have, those will be remedied and we can really take a hard look at what's succeeding, fix what isn't, and keep moving forward to get to affordable universal healthcare coverage like you have here in Canada.” There you have it. Clinton, like Obama, wants universal health care no matter the costs. Can we be like Canada or will the costs be just too crippling? Let’s check out just how great their health care system really is. The Fraser Institute has put out Waiting Your Turn, a survey of physicians across 12 specialties and 10 provinces for years now. 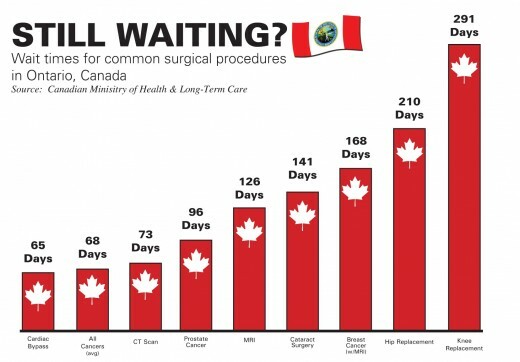 Waiting for care has become synonymous with Canadian health care, which is why so many Canadians come to the U.S. to get major surgeries. Specialist physicians surveyed in the 2015 report reveal a median waiting time of 18.3 weeks between getting a referral and getting treatment, which is up from 18.2 weeks in 2014. This year’s wait time is an astonishing 97% longer than it was in 1993 when it was just 9.3 weeks. Just as waiting times are synonymous with government-run health care, the mainstream media and political press personify left wing politics as they play on the same team as the Clinton campaign. The Intercept previously reported how pundits were regularly featured on cable news shows yet were paid by the Clinton campaign without any disclosure when they appeared. In the recent leaks, Jennifer Palmieri, the communications director, is the author. The reporter RSVP list is an insight into who is worthy of the wooing of the Clinton campaign. Many of these mainstream media anchors and editors are important members of today’s media elite. Yet, they also control the overarching narrative that is fed to the American public. These political and media elite continue to get rich off of growing of government and using their influence for monetary gain, Bill and Hillary Clinton have mastered this art. Meanwhile, Donald Trump is painted as a racist, misogynist pig who cannot be trusted to be president of the United States. This narrative cannot be escaped while much of the Wikileaks bombshells are left to thirty second clips at best or are covered solely on conservative news sites. The collusion between major media and the Clinton campaign is appalling and is all the more reason Donald Trump should come in and shake things up. How can we trust our media if they cannot cover our political campaigns and news objectively? Anti-Trumpism has been the inescapable message on all your major networks for the past few months. Any sense of fairness has been thrown out the window in an all out effort to deny Trump the White House. They are frightened he has already got this far. Michael Goodwin wrote in The New York Post in late August that American journalism is collapsing before our very eyes. “The largest broadcast networks — CBS, NBC and ABC — and major newspapers like the New York Times and Washington Post have jettisoned all pretense of fair play. Their fierce determination to keep Trump out of the Oval Office has no precedent. The constant stream of email leaks from Julian Assange’s Wikileaks helps bring to light the fact that the media loves Hillary Clinton and will do anything they can to help get her elected. They are in her corner, which helps her craft a positive message about her campaign. Another batch of emails were released from the account of Jennifer Palmieri on Wednesday that make abundantly clear how the media is not only for Hillary but working for her. Then a CNN contributor, Donna Brazile wrote to Palmieri in March 2016 that she gets the questions ahead of time “from time to time.” Brazile added, “Here’s one that worries me about [Hillary],” and she then gave Palmieri a question about the death penalty. The next day Hillary was asked about her stance on the death penalty at a CNN town hall. Obviously Bernie Sanders did not get the same preferential treatment. And if this happened here, how many other times did it happen? CNN and Brazile have failed to comment on this so far and many on the left spin this story by fighting the authenticity of these emails, despite the fact that the Obama administration and Hillary Clinton herself have already acknowledged that they are in fact not manufactured. In another episode of media fawning over the Democratic nominee, Sheara Bruan, editorial producer for MSNBC’s “All In with Chris Hayes,” described Hillary as “this amazing, intelligent woman,” to a Clinton spokeswoman, going on to add, “She is smarter than most men and more qualified than most men to be president.” These are the people in charge of feeding us our daily dose of political news coverage. In the second presidential debate, Hillary said she supported installing a no fly zone over Syria. This outrageous plan at this point in such a complicated conflict is unworkable. And, it involves war with not just Syria but Russia as well. Of course, neither CNN moderator followed up with Mrs. Clinton on how or why she wants to get America more involved in the mess that is Syria. Leaked emails have helped us learn what Hillary really thinks of Syria. One of the central problems with the no-fly zone, which hawks in DC have long insisted should be imposed over Syria, would be the need to “take out” the country’s “very sophisticated” air defenses, Mrs. Clinton noted in a speech to Wall Street posted by WikiLeaks. “To have a no-fly zone you have to take out all of the air defenses, many of which are located in populated areas. So our missiles, even if they are standoff missiles so we’re not putting our pilots at risk— you’re going to kill a lot of Syrians,” Clinton admitted. Wouldn’t it make sense to have Clinton’s position on Syria be clarified in light of these claims of certain collateral damage? 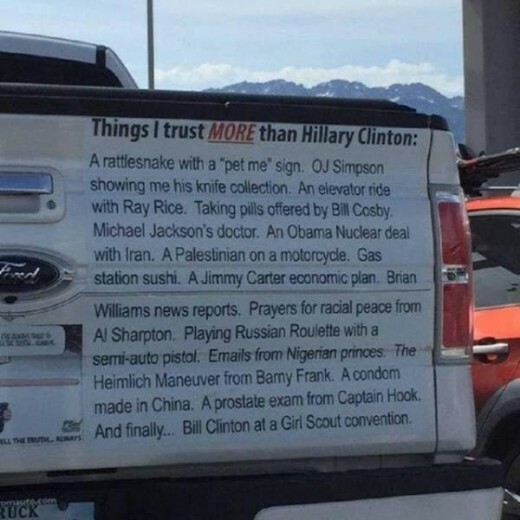 Is Hillary okay with that? Does she want American troops on the ground in numbers like we had in the second Iraq war? We will never know the answers to these questions because the media will not ask them. Same Old Status Quo or Shake Things Up? The media and political elite do not want to have more than a surface conversation about the real issues. 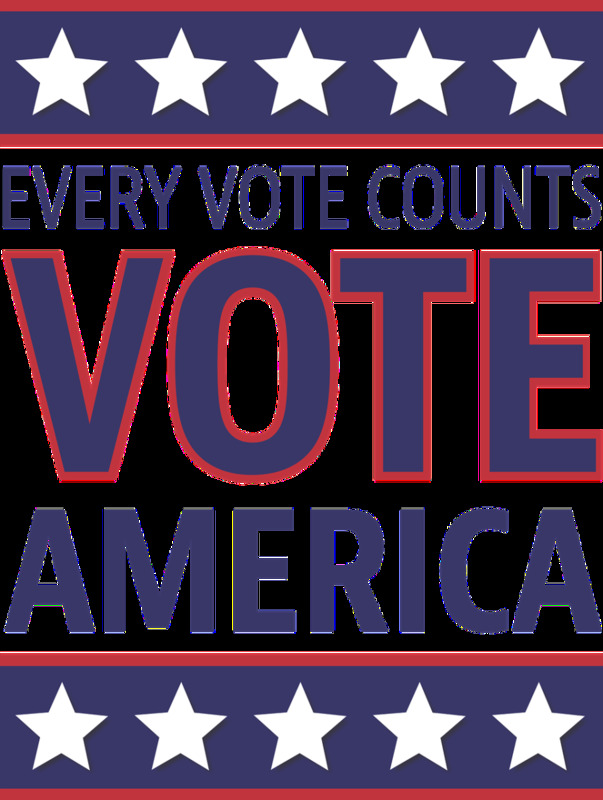 They want this campaign to be down and dirty and to focus on the candidates as opposed to their positions on the issues and how they would be as president. Conflict is compelling and boosts ratings, so, the important matters will be for another day. After the election! In one of the most damning and appalling leaks, an email was sent to Podesta by former Clinton administration official Bill Ivey in March 2016. In it, he revealed how he and the Clinton campaign want to keep the public in the dark and ultimately compliant. “I’m certain the poll-directed insiders are sure things will default to policy as soon as the conventions are over, but I think not,” Ivey wrote. “And as I’ve mentioned, we’ve all been quite content to demean government, drop civics and in general conspire to produce an unaware and compliant citizenry.” This awareness of deliberately keeping the American people distracted from the real issues should be horrifying to any liberty-loving American. Our political elite are trying to keep the masses in their place by electing the same old guard in order to keep growing government at a rapid rate off the backs of hardworking taxpayers. And the media is helping them do it. The leaked emails also suggest that Clinton’s staff discussed ways to divert attention from her bubbling email controversy while she was Secretary of State. In one exchange from March 2015, Podesta advised his fellow campaign hands that "we want the fight to be about Benghazi, not about servers in her basement." In diverting the focus from her email scandal to the Benghazi cover up, she was better able to deflect blame from her to Congressional Republicans seemingly on a witch hunt. While we are all caught up in Trump’s past, Hillary gets a free pass from an acquiescent media despite the constant drip of scandal after scandal. Donald Trump has not been accused of any kind of sexual misconduct, nor has he broken any tax laws, yet he is constantly portrayed in the media as a sexual predator and even a tax cheat. I’ll take a man who has been dedicated to his family and is sacrificing his profitable career to bring America back to its greater glory over a woman who will do and say anything to become president, including lie to the American people. For America to be great again, its people must look past the media bias to uncover the truth. They must look to alternative news sources that are free of liberal bias and cover the whole truth and nothing but. Our talking heads on television cannot be relied on anymore for objectivity or fairness. If they ever were. Wow a year later and Trump has done far worst then Hillary ever dreamed of. Those emails are sure looking small to all his crimes. I am sure going to love the impeachment. The first President charged with Treason thats going to be my favorite. I am guessing you are one of those fake news people, probably a Russian troll, you have a lot in common with them. What a bore still talking about Hillary. Well done, easy to read, and informative. These latest emails exposed by wikileaks is just more proof of the corruption and collusion going on throughout the 'establishment' between the Clinton Campaign, Wall St., the media, etc. It shouldn't surprise anyone, no matter what side of the aisle you stand on, the level of corruption should have been evident long ago. When she calls Americans deplorable, irredeemable, cellar dwellers, how do you think she will handle things when she becomes POTUS? Clinton is the poster child for everything that is wrong with Washington politics, she will sell America and American interests out whenever, wherever she can... to the highest bidder. I hope I am wrong, for all our sakes. But things like this keep proving that things are even worse than imagined and the corruption has become terminal throughout the system.